Burlington-based healthcare diagnostics company LabCorp has donated $1 million to Alamance Community College (ACC) to support the school’s growing biotechnology and life science curricula. The North Carolina Biotechnology Center awarded 17 grants and loans totaling nearly $1.4 million to universities, bioscience companies and other organizations in the second quarter of its current fiscal year. Circassia Pharmaceuticals, a British company with U.S. headquarters in Morrisville, will acquire the exclusive commercialization rights to a life-saving medical device for newborns facing a potentially deadly respiratory condition. Pfeiffer University broke ground today for a $16 million Center for Health Sciences to be located on Main Street in Albemarle. It will house the school’s new Physician Assistant Studies and Occupational Therapy programs. TransEnterix, a medical device company located in Research Triangle Park, has received clearance from the U.S. Food and Drug Administration to market its Senhance Ultrasonic System. Pairwise, a growing agriculture and food company that recently signed a lease for its new site in Durham’s Golden Belt complex downtown, expects to increase its 50 employee headcount by an additional 30 to 40 in 2019. If your New Year’s resolution is to get out of a low-paying, dead-end job and make a move into a good-paying, fulfilling career in the biopharmaceutical industry, you need to attend the free BPD Spotlight on Education event this Thursday, January 17, from 12:30 to 4 p.m., at the North Carolina Biotechnology Center. 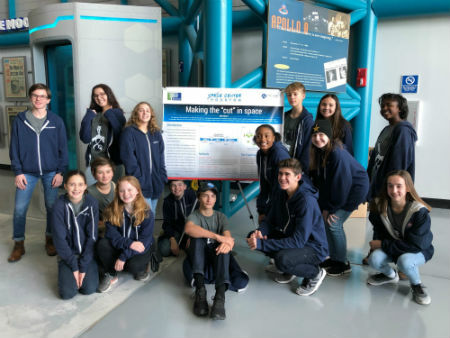 Fifteen STEM students at Immaculata Catholic Middle School in Durham partner with researchers at Precision BioSciences to send a genome editing experiment for the U.S. Naval Laboratory to the International Space Station, to explore whether the technology can help humans, plants and animals adapt to life outside Earth’s atmosphere. GreenLight Biosciences Inc., which is developing RNA-based solutions for agriculture and pharmaceutical applications, has disclosed a $50 million first closing of its latest funding round. RFPi, a Greenville medical device company that was bootstrapped with a loan from the North Carolina Biotechnology Center, has received clearance from the U.S. Food and Drug Administration to begin marketing its iCertainty blood flow and perfusion imaging device. 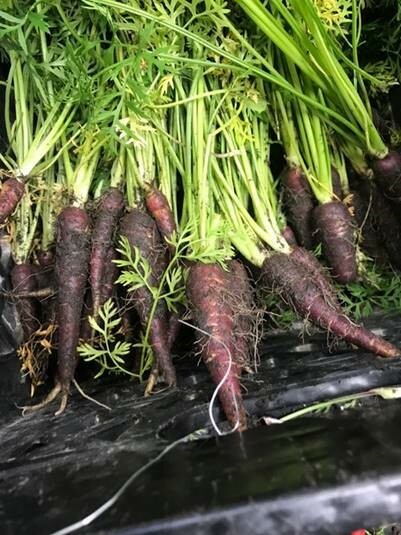 The North Carolina Biotechnology Center has received two grants totaling nearly $200,000 from the N.C. Department of Agriculture and Consumer Services to validate production of purple carrots and ways to improve hemp crops. Fujifilm Corp. will expand its biomanufacturing facilities in Morrisville as part of a $90 million investment in its contract development and manufacturing organization (CDMO) business to meet growing customer demand for biopharmaceuticals. bluebird bio, a gene therapy company with operations in Durham, has entered into an exclusive license agreement with Inhibrx of La Jolla, Calif., to research, develop and commercialize cancer immunotherapies. Aerie Pharmaceuticals, an ophthalmic pharmaceutical company based in Durham, has reported positive results from a pilot Phase 2 study of an eye drop intended to reduce high intraocular pressure (IOP), a cause of glaucoma.